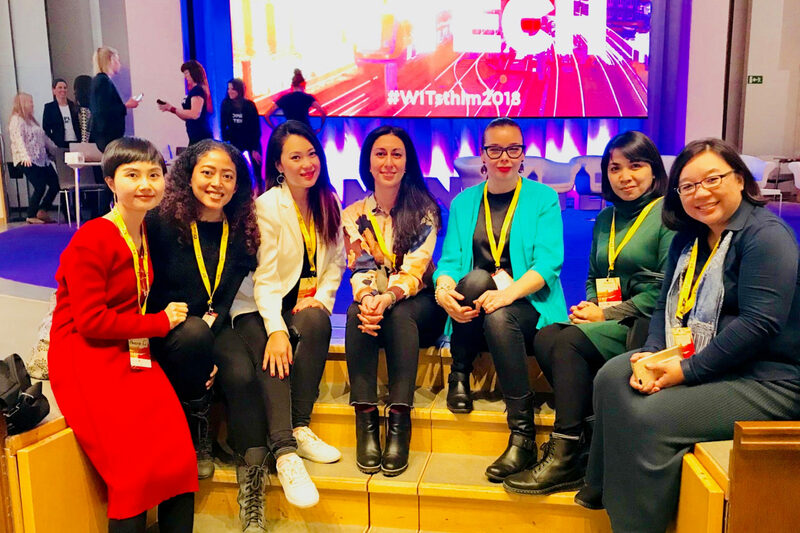 Five women from China and Indonesia visited Stockholm for three days to meet organisations and companies in the field of women in the technology sector. In 2017, SI began planning a regional visitors’ program (China, India and Indonesia) to Sweden for women in the technology industry. Last week, five women from China and Indonesia were in Stockholm for three days to meet organisations working to bring more women into the tech industry, to meet Swedish entrepreneurs and startups, meet the major Swedish companies that focus on innovation in the technology industry such as Ericsson and specifically Ericsson Garage and also attend the annual Women in Tech conference on 8th March. The women were both corresponding to Women in Tech, such as Ladies who tech from China and Girls in Tech in Indonesia. But there were also social entrepreneurs in the group who work to get more girls to learn how to code and program. – The great lesson from the visit has been to find co-operation with other local actors, such as how the Tekla Festival has worked with KTH as a base and business actors in the industry as partners. In addition, many lessons and inspiration were drawn to the first Women in Tech conference to be held in Shanghai in early June.